Who wouldn't enjoy a tropical style midnight buffet? Here's a shrimp recipe that will make you want to hula - which I prepared on Live with Regis and Kelly. 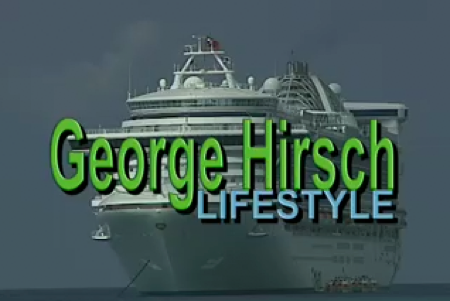 To get you in a tropical mood, watch my TV segment on the Caribbean Princess. We're somewhere in the tropics. Sipping a Mai Tai, strongly suggested. Green papaya has a very mild, bland, taste. The green papaya soaks up the hot, sour, sweet and salty flavors, giving them a unique texture unlike any vegetable. Unripe papayas are readily available at many Asian markets. Select one that is very firm with shiny green peel. Peel skin off green papayas. Shred the green papayas into long strips using a grater or food processor. Mix all ingredients for papaya dressing. Add dressing to shredded papayas. Arrange four plates with lettuce leaves, top with marinated shredded papaya, tomatoes and cashews. Pre heat grill to a very high heat. Mix all ingredients for shrimp marinade and pour over shrimp. Cook shrimp on hot grill and cook two minutes on each side, turning once. Baste the shrimp with any remaining marinade. Do not over cook. Remove shrimp from grill and serve with the papaya salad. Fill a tall hi-ball glass with ice. Add the ingredients. Garnish with mint sprig, pineapple wedge and serve with a straw.